A bracelet can be one of the most versatile pieces in any jewelry collection. 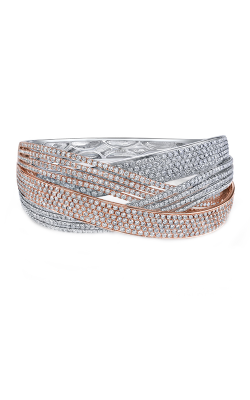 Styled simply or intricately, diamond bracelets are a perfect gift for any occasion. Hinged bangles and wide cuffs showcasing precious metals and luxurious gemstones make a bold statement that is striking and stylish. 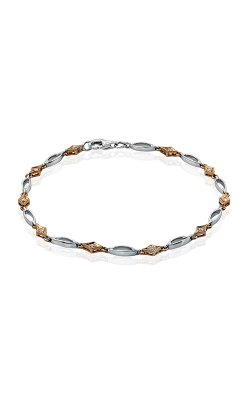 Tennis bracelets and chains set with brilliant diamonds complement a more delicate sensibility. 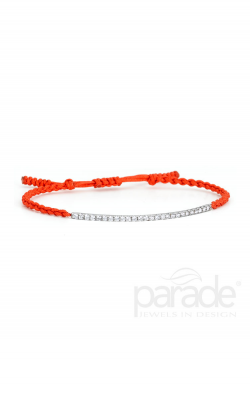 Whether accenting formal wear or adding sparkle to a casual day look, a diamond bracelet can refine any style. 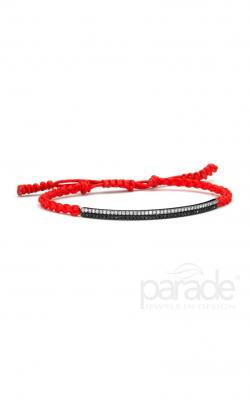 Parade, a jewelry design house founded by brothers Allen and William Pung, fuses the signature design styles of each designer. 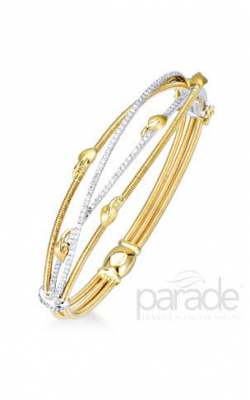 The Lyria Leaves bracelet is an intricate and feminine bangle made of 18k white and yellow gold. 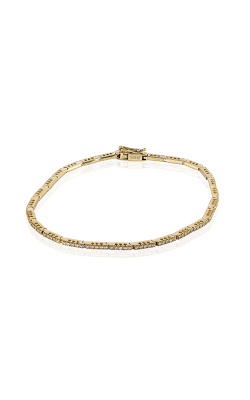 Round cut diamonds are set into strands of the bracelet, intertwining with shining golden strands. Delicately shaped leaves complete the bracelet, making it a perfect fit for the woman with a soft and feminine style. 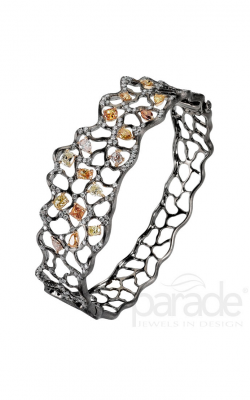 Parade's Reverie diamond bracelet collection skillfully uses elements of negative space to highlight and frame colorful stones in a variety of cuts. The Reverie bracelet is wide enough to wear on its own as a stunning accent. 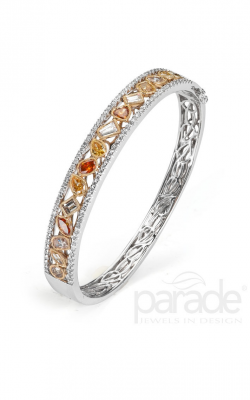 Pear, oval, round, and princess cut stones make this hinged bangle bracelet a beautiful and modern statement piece. The Jewelry Designer Showcase's Mirror collection features eye-catching yellow gold bangles with inset floating diamonds. These designer bangle bracelets are perfect for layering and can be worn alone or stacked up to add more interest. 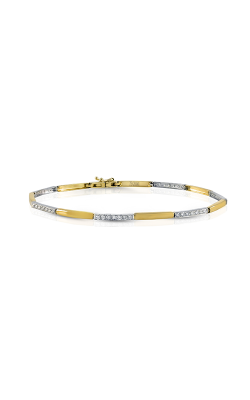 Diamonds that appear to be embedded in the band, using the burnish setting, shine brilliantly, encircling the bracelet and giving it a completely unique look. The Mirror collection is truly one of a kind and is suited to the woman who has a contemporary style. The burnish setting is striking and is perfect for making a modern statement that embodies decadent minimalism. Why Shop for Diamond Bracelets at Medawar Jewelers? Medawar Jewelers has been a respected name among luxury jewelry retailers since 1978. The Medawar family continues to own and operate the business today, maintaining their dedication to strong family values. Inspired by Chakib Medawar's impeccable craftsmanship and renown as a watchmaker in Lebanon, Pierre and Catrine Medawar continue the family legacy. Medawar Jewelers is a retailer of GIA-certified diamonds, engagement and wedding rings, and Swiss-made timepieces serving their local community. In addition, Medawar Jewelers can assist you in creating a custom heirloom piece that will be treasured for generations. Visit Medawar Jewelers online or call 855-850-8015 for services and information.